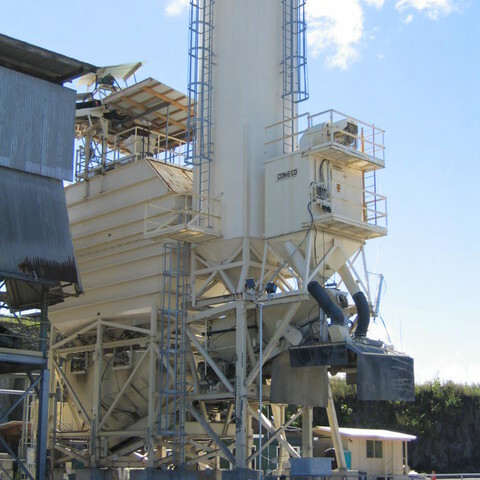 The ALL-PRO series stationary transit mix batch plant is known for having superior structural strength, with a compact design. 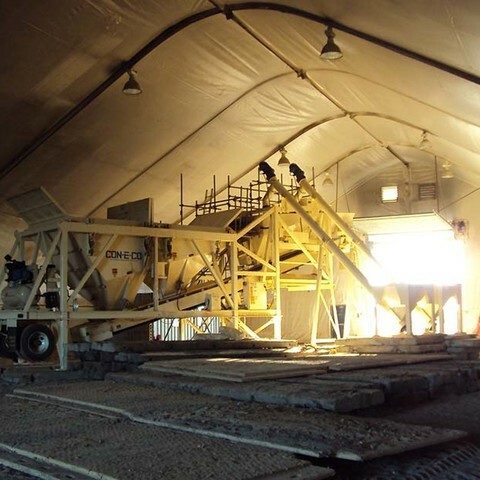 The single, unitized, all welded structure allows the entire plant to be set on a monolithic slab. Large outside foundations are not required. 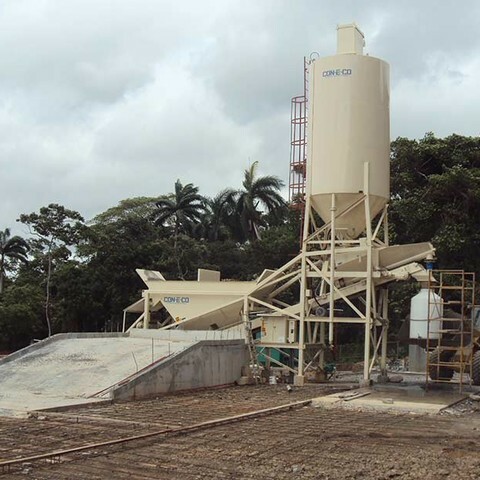 Further construction savings can be found with the dust control system being mounted above the cement batcher, eliminating the need for an additional foundation or ground clutter. 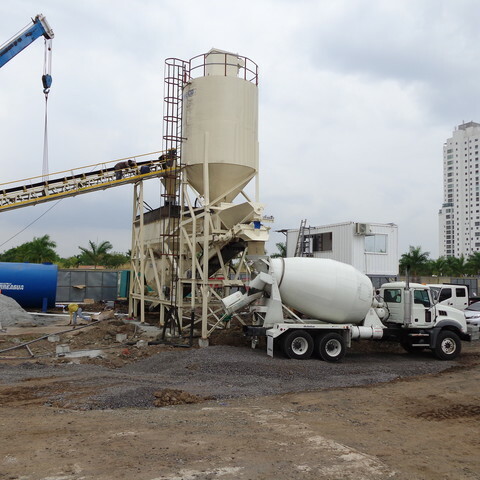 The pre-blending cement batcher eliminates the need for a drive-through/back-in structure. The ALL-PRO is available in both central and transit mix configuration.